1 Let's have an in-depth look at it. 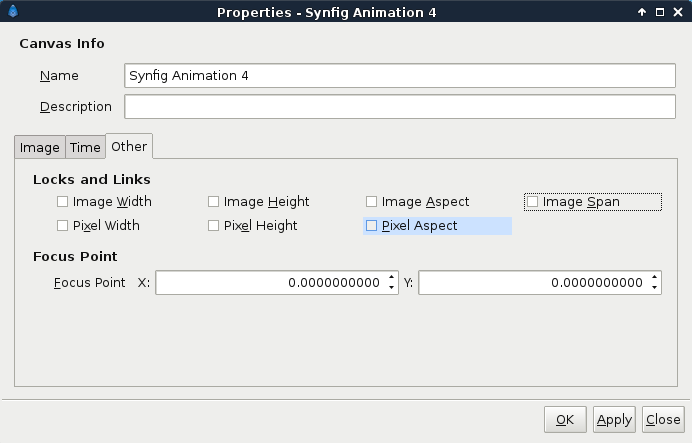 The "Render Dialog" lets you render your animation. It can be reached through the Canvas Menu Caret "<File> → Render". Let's have an in-depth look at it. Filename - Here you can set desired output filename and also a custom path to the render. Target - Set your output format. At "Auto" the format is decided by the filename suffix. If none is present png-format is default. Quality - Set the quality of the render. Quality changes behavior of some layers, not all of them. For example Motion Blur layer renders more subsamples based on quality values in intervals. Quality 3 and 1 are mostly the same in all cases, so if 3 is enough, then leave as 3. 1 is highest quality but with longest render time. 9 is lowest quality but renders faster. 0 is even lower than 9 and seems to disable apha channels as well. Anti-Aliasing - Set the amount of anti-aliasing. Accepts values between 1 and 31, although values above 3 is very subtle improvements and hard to notice it's also hugely increases the render time. 31 is higtest anti-aliasing amout but with longest render time. 1 is lowest anti-aliasing amout but renders faster. Render current frame only - With this ticked only one frame is rendered; the current one. Extract Alpha - When checked, two videos files are rendered. The normal output file(s) indicated by Filename plus another(s) you can easily identify by the alpha suffix. This file(s) will contains the transparency data of your project that you can use as a mask when compositing. Width - set width of render in pixels. Height - set height of render in pixels. - Toggle button to fix pixel ratio. XRes - set horizontal resolution to calculate the physical size (do not affect the size of the content). YRes - set vertical resolution to calculate the physical size (do not affect the size of the content). - Toggle button to fix resolution ratio. Physical Width - set physical printing size of render. (Calculated from Width/XRes). Physical Height - set physical printing size of render. (Calculated from Height/YRes). Image Size Ratio - Label displaying the current image size ratio. 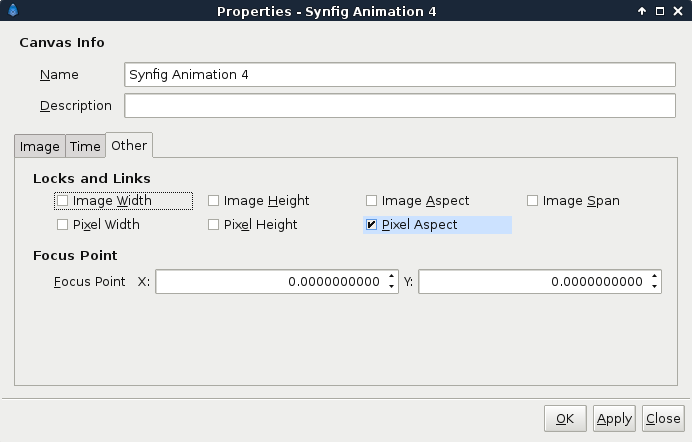 Image Area - sets the portion of the workarea to be rendered. Top Left X/Y: - set where in the workarea top left of render starts. Bottom Right X/Y - set where in the workarea bottom right of render starts. Frames per second - set render framerate. Only applicable when rendering to movie-file, not image sequences. Start Time - set where in your timeline rendered sequence will start. End Time - set where in your timeline rendered sequence will end. Duration - set the duration of the animation. Then edit Image "Width" and "Height". This will resize the canvas, stretching it's contents in the process. In the "Other" tab, check "Image Aspect", "Image Span", "Pixel Aspect", in "Locks and Links". Then edit Image "Width" and "Height". This will resize the canvas, adjusting it's contents keeping the aspect. That's mean that even if you change the "Image Size Ratio", a square before is a square after. Then edit Image "Width" and "Height". This will expand the canvas, keeping it's contents at the same size but adding extra space at the top/bottom and left/right. Please note that since this dialog caused confusion, even among some very experienced people, here are some unofficial thoughts about image dimensions. This page was last modified on 18 May 2016, at 07:58.